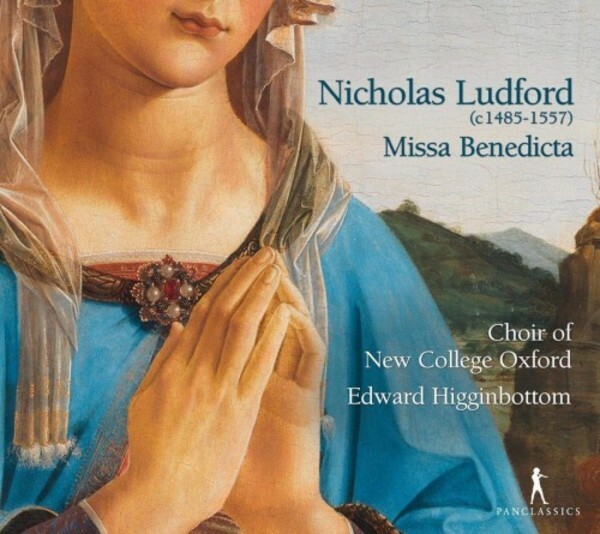 The deeply expressive music of Nicholas Ludford (c. 1485-1557) has been re-discovered only relatively recently. Few composers of his stature - comparable to that of John Taverner - have been so comprehensively and so unjustly ignored for nearly five centuries. Recorded in the glorious acoustic of Saint-Martin de Hoff, Sarrebourg - a perfect environment for this extraordinary music � this CD features the Missa Benedicta et venerabilis, one of Ludford�s most accomplished festal Masses, with its plainsong propers and two of his extended votive antiphons: Domine Jesu Christe and Ave cuius conceptio. Under the leadership of Edward Higginbottom, the Choir of New College, Oxford, have gained a worldwide reputation and are known particularly for their stylish performances of Renaissance and Baroque music.